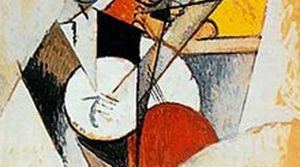 Folk music has inspired composers for as long as music has been written down. Jazz, of course, grew from American folk music, and countless composers have been drawn to its free-spirited excitement, as well as the more melancholy mood of the blues. George Gershwin wrote innumerable jazz standards, introducing I Got Rhythm and Embraceable You in his musical Girl Crazy. Brilliant British clarinettist Julian Bliss joins the APO for two pieces. The soulfulness of the blues is infused into Aaron Copland’s Clarinet Concerto, written for the legendary swing player Benny Goodman – who also gave the premiere of Leonard Bernstein’s energetic Prelude, Fugue and Riffs. And one of the more rare orchestral soloists appears in Bill Russo’s classic harmonica concerto, Street Music.